It's a good thing I know how to immerse myself in meditative activities, and be mellow. I was all set to make a quick post here, when I made a decision to fix one link in an old "Yarn" post, well... that was two hours ago. I am still repairing broken links in the blog archive. Yesterday I spent about three hours updating all fifty-four Robotics posts. It takes concentration, patience and a lot of maze work, following one path that leads to another, until all the links synch up again. It also takes discipline, because I must force myself to dismiss housework and other responsibilities, in order to repair a complete series of broken links. Now my brain is all unraveled, and my initial reflections and thoughts about my latest yarn project are lost in the fray. <------------That's me being pun-y. A quick post about yarn, and the pleasure of having something to do in the down times. Now that school is in session, and we are having cooler days, I have brought out my crochet hook and yarn. I think I am making another blanket, unless I lose patience and let it be a scarf. No. It should be a blanket. I love snuggling under the weight of a crocheted blanket. 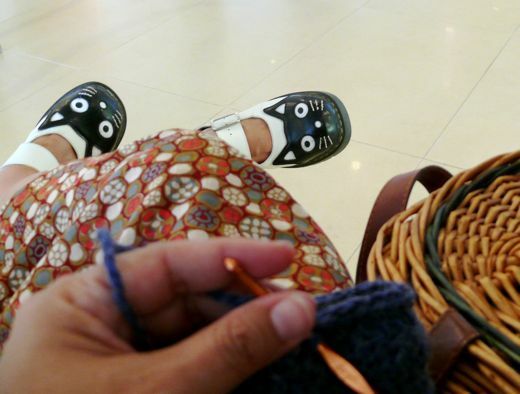 I am happy to have yarn in my purse, or basket, that I can bring out whenever I am waiting... like on Sunday. 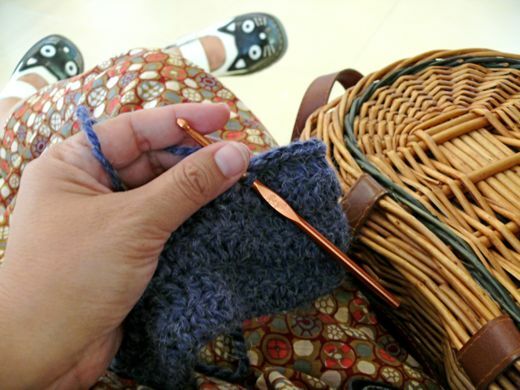 In a doctor's office, or at school pick-up time, it makes me glad to have something to do. Something fun, and nearly useful. I say "nearly" because I am aware that some people would question the usefulness of playing with yarn. And even I have an impossible time justifying the expense of yarn. Can anyone explain to me how to justify the expense of yarn? It's cheaper than therapy, is my go to defense. 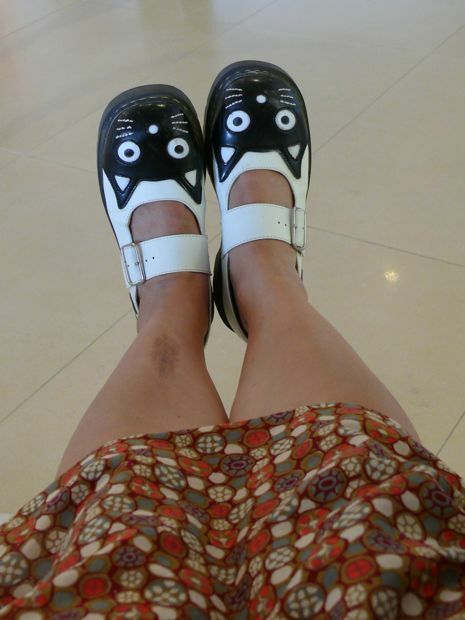 Speaking of therapy, the kitties were out. They still turn heads, those whiskered two. And just looking at them always lifts my mood. I believe I am supposed to be getting things done. Domestic type things, related to not being nominated for this program. Dear me. That "Hoarders" show scared me straight. Nice to meet you Val! This was the first outing for my favorite dress. If it came in other colors and prints, I would have one for every day! Welcome to Chickenblog... I hope you enjoy looking around, and I hope you'll come back. Ummmm, Natalie ... I didn't realize that yarn purchases have to be justified...? Now that you've mentioned that, BOY AM I IN TROUBLE!!!!! 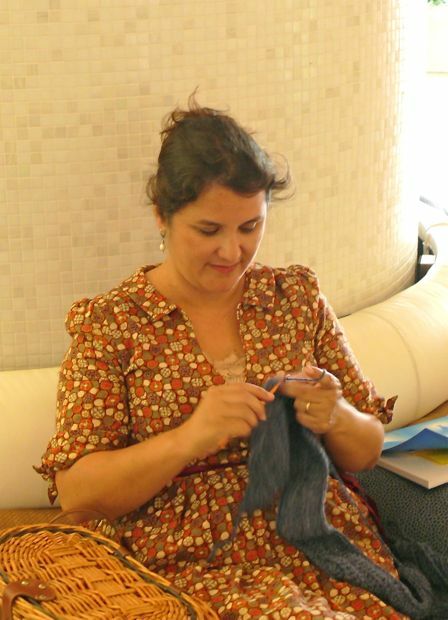 Crochet hooks and knitting needles can be justified so that you have something to work all that beautiful yarn with. That's my story and I'm sticking to it! HA! 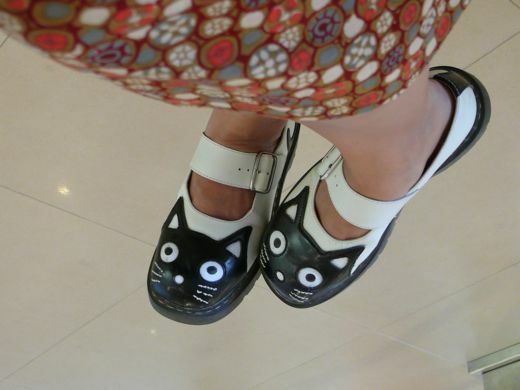 Awesome shoes! I don't think I could pull it off but you surely do! Miriam... follow the links and I think the shopping info is there, but be warned: They took some working-in before they were comfortable. As with any new kittys, they had to be properly trained! Yvette... You've got a good story. I may borrow that one.